This is a very simple tip, but judging by the number of queries on the Product Forums, it should prove helpful. Blogger is a free blogging service by Google. Like WordPress, they allow you to run hosted blogs on the blogger.com domain, and they also allow you to modify the HTML source. 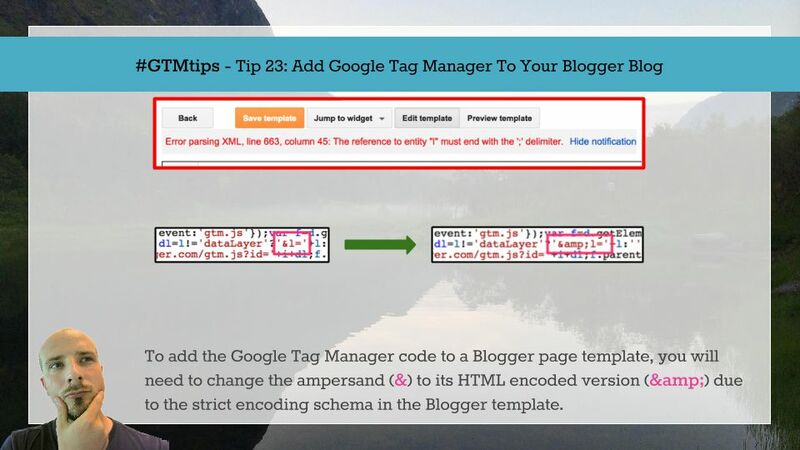 This, of course, means that you can add the Google Tag Manager code to the HTML template, if you wish (and why wouldn’t you!